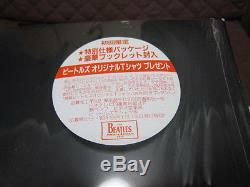 The Beatles "Concert at Budokan 1966"Japan Laser Disc with Outer Sleeve (in Original Shrink with OBI). From VAP Japan in 1993 # VPLR 70236. RARE Strictly Official Japan Laser Disc (NTSC Format , Visual and Sound Disc) in Picture Sleeve with Another Outer Black Colour Sleeve (It Has Embossed Logo, It's in Original Shrink That Has A Small Oval Official Sticker for The Beatles' Campaign = Photo 3). 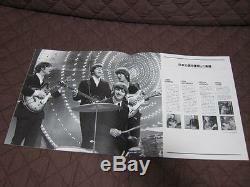 With 12 page Linernotes Booklet incl. 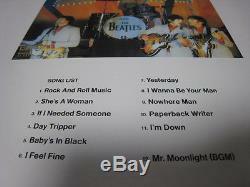 24 Chapters (35 Minutes 11 Live Tracks at Budokan Tokyo Japan on 30 June 1966, with Bonus Documentary Part and Interview Part). Disc is EX-EX Minus, Sleeve is EX. The Grading Scale is MINT>Near MINT>EX>EX Minus>VG Plus>VG>Poor. If The Weights of Package Would Be Over 2.00 kg Package ex. The Weights of More Than 6 Records etc. 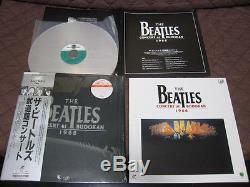 The item "Beatles Concert at Budokan 1966 Japan Laserdisc John Lennon McCartney Laser LD" is in sale since Tuesday, December 10, 2013. 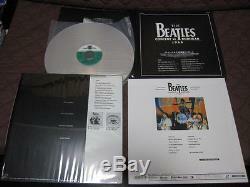 This item is in the category "DVDs & Movies\Laserdiscs". 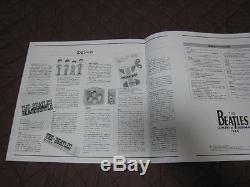 The seller is "vgps" and is located in Japan. This item can be shipped to North, South, or Latin America, all countries in Europe, all countries in continental Asia, Australia.